Data warehouses are important database applications and will become even more relevant in the next years. The size of the databases and the kind of queries which are processed on data warehouses differ much from transactionoriented operational systems. The processing of range queries on multidimensional data is especially important for data warehouse systems. The main goal of this thesis is therefore to investigate what kind of index structures support efficiently typical queries in a data warehouse environment. 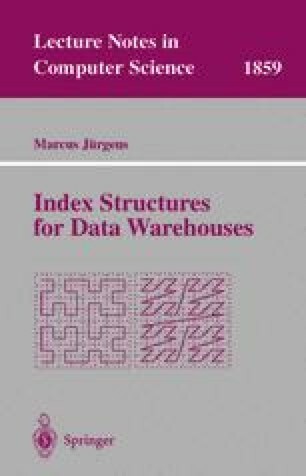 For data warehouse applications multidimensional tree-based index structures and bitmap indexes are the most promising structures. The R*-tree is well known for its robustness. Variants of the standard bitmap indexing techniques overcome the problem of space inefficiency and the problem of weak support for range queries.